Welcome to 2 Little Superheroes! 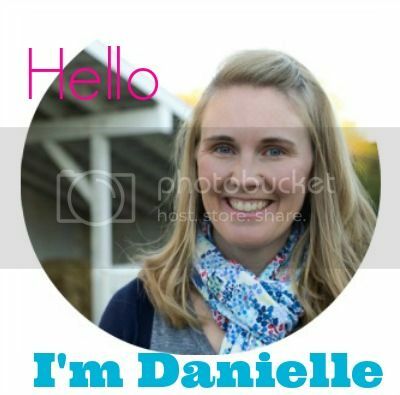 I’m Danielle and I live in the burbs, with my husband and our two active boys. We call ourselves Canadians, but are currently living in the American South. Our little family is having a hard time adjusting to the unbearable summer heat, but love the so-called cold winters. Our two previous homes were classic downtown century-old red brick homes. You know the ones with loads of character, but require buckets of money and upkeep. When we made the move to North Carolina we had a three-month old and knew another child would be on the way in the future. We chose to give up the excitement of downtown living and move to the suburbs (the truth is on one income we could no longer afford a downtown century home otherwise we so would be living in historic Oakwood). We found ourselves in a newly built Arts & Crafts subdivision. I had always adored true Arts & Crafts homes, so I was thrilled when we found an affordable ‘fake’ Arts & Crafts neighbourhood. Until we entered the home and realized the home contained no architectural details at all. Not a one. It looked like every other subdivision home in America. But I’m totally up for a challenge had no choice it’s all we could afford. Adding some character to our rather boring home has become my mission. I’ve quickly discovered that renovations and makeovers are incredibly difficult with two little boys running around. Even after 4 years of living in this home it’s far from being the way I want it. But between naps and preschool pick-up, I pull out the paint brush and mitre saw and get to work quickly. So far I’ve been adding board and batten, repainting the boring builder grade oak cabinetry and slowly replacing the cheap brass lighting. All simple inexpensive makeovers that YOU can do at home without any fancy tools or fancy carpenter husband to help you out. Seriously you can do all of my tutorials on your own. Hope you will follow along. Having a blog is really a dream come true for me and I am so thankful for each and every one of my readers. Especially when you leave me nice comments, I’m not so fond of the mean comments. Hi Danielle, Re-doing some old Veg Box crates. . . and your COCONUT OIL table came up. Loved your blog, it has a really nice old world lifestyle about it. I live in Melbourne Australia, and I am currently debating the Old 1940 House in Suburbs Restoration vs Walk Away- buy newer smaller purchase in FarFarAway suburb debate. Affordability likely to force my hand also. nevertheless, I will have some nicely polished Boxes to enjoy. Brings back memories from when my sons wanted to help out when they were younger! My youngest just turned 15 years old and he helped me re-do some wiring at his Aunt’s house this weekend…a bit more reluctant to help though! Hi Danielle. Found your blog through the Vintage Search Top Blogs directory. I was pumped to find my new little blog has made it to the front page, and to be honest I was checking out some of my competition higher up the list :) I have loved looking through your site though and it has made me laugh and smile. I have three little boys at home and am living in a big brick box in tree-less Texas, where as my last home was a real restored Craftsman bungalow with a picket fence, grape trellis, and huge front porch. Sigh . . . life in the burbs now. I will enjoy following along with your projects as you try to add some flair to the burbs with your little guys always wanting to “help”. Have a great day! I love your blog! I’m excited to learn that you are in Raleigh! I’m looking forward to reading more and becoming my own do it herself. Thanks for all the insights on where to go for thrifting! That’s awesome that you’re in Raleigh. I love to post about my favorite local spots so keep following:) I’m also hoping to organize some sort of thrifting in Raleigh day this Spring. So if I actually get that organized I’d love for you to join. It is fun to find someone in the Raleigh area, during a random visit to pinterest. I look forward to reading more on your site. Sounds like we enjoy similar hobbies. I have a lifestyle blog called Buttergirl Diaries. So nice to meet you! I like your blog!! I love meeting other Raleigh bloggers! I’m now following you too. If I organize any Raleigh blogger events I’ll let you know for sure! We’ve been so happy since moving here. It’s such a beautiful city. And such a family friendly area for raising our 2 boys. Good! And I have been having problems with comment luv but have no idea how to fix that. I really need to figure these things out. Can’t wait to be inspired for new ideas to create a happy loving home with style on a budget! Thanks so much for such a thoughtful comment Trish!